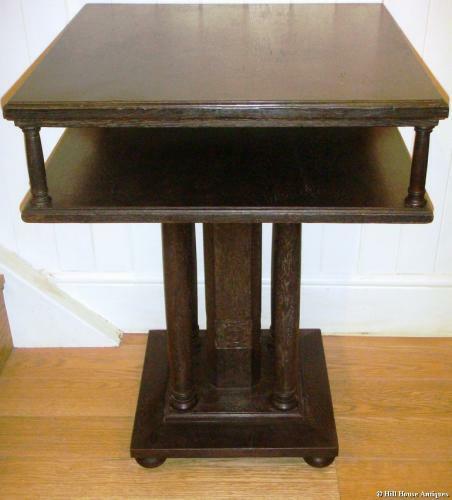 Arts & Crafts architect designed lightly ebonised/limed oak occasional or centre table of unusual form. Square two tier over a group of four "muscular" turned columnar legs on stepped base over squashed bun feet, and delicate stylised carving of plant forms all round the central square support section ; c1900. Probably German; in the manner of Josef Hoffmann. h: 31” d: 23.5”top w: 23.5” top.